Organising a hen night? Need those extra pieces to make it go off with a bang? 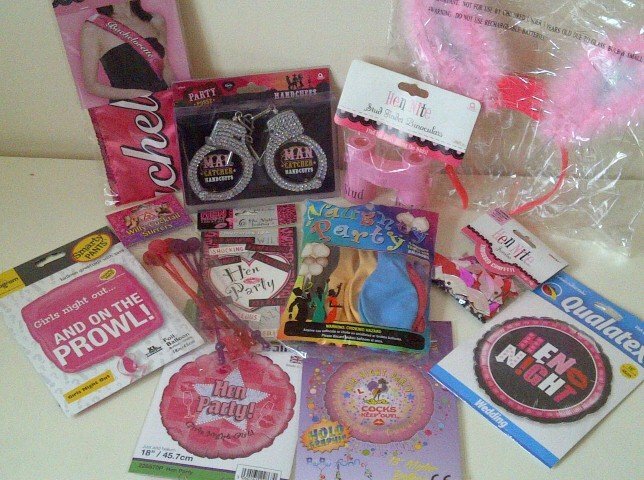 Balloons, naughty straws, party bags, accessories... We can supply it all! We are a one stop shop for all occasions and a hen night is no exception. Want to make your hens or bride to be a personalised goodie box with everything they may need for the night or weekend? We can arrange this for you! Just give us a budget and we can go from there.